Who doesn’t love ABBA? Every disco worldwide in the 1970s played ABBA. ABBA will be virtually touring in 2019, and plans to release two new songs for the first time in decades. ABBA were offered one billion dollars to tour a few years ago – and turned it down. Fun Fact: ABBA’s members did not speak English, though they sang in it. They had the lyrics written phonetically. IKEA was started by a 17 year old in 1943. The word IKEA stands for Ingvar Kamprad (the name of the founder) Elmtaryd (the farm he grew up on) Agunnaryd (his hometown). IKEA is the world’s largest furniture retailer, and has 415 stores in 49 different countries. Ironically, IKEA’s headquarters are now in Leiden, the Netherlands. Fun Fact: IKEA’s colors are the same as Sweden’s flag. Sweden is famous for meatballs, salmon, dairy, and bland food. The last comment is not a judgement – Sweden lacked spices for much of its history, and traditional Swedish foods are still generally made without spices. Swedish cuisine is known as husmanskost and features pea soup, various forms of salmon, herring, meatballs, and potato dumplings, among others. Fun Fact: Kåldolmar is a Swedish dish of cabbage rolls. It was introduced to Sweden by Ottomans by the Battle of Poltava, and by creditors of King Karl XII who moved to Stockholm in 1716. What do Skype, Spotify, and Candy Crush all have in common? They are all made by Swedish startups. Sweden has a thriving startup scene, centered in Stockholm and Gothenburg. Swedish startups making noise this year include Truecaller and Degoo. Fun Fact: Sweden’s startup success is the result of ambitious reforms and a comprehensive welfare safety net. Fika is a cherished Swedish tradition of having a break to socialize over coffee and pastries. The word is both a noun and a verb – you can fika with friends over fika. Fika is a workday highlight in Sweden, with two fika breaks taken at 9am and 3pm. Fika at work can take on the trappings of an informal meeting, though it is usually just a chance to talk with colleagues outside of work considerations. Fun Fact: To Fika properly, you need some kind of sweet pastry – especially cinnamon rolls. Fun Fact: Dynamite was made possible thanks to another Alfred Nobel invention – the blasting cap. Alfred Nobel was aghast with how his invention was used in warfare. He did not want to be remembered as the father of industrial slaughter! He decided to leave his fortune to a trust tasked with establishing Nobel Prizes, to be given out to scientists, authors, and eventually, economics. Fun Fact: Past Nobel Prize winners include Bertrand Russell, Winston Churchill, the Red Cross, Milton Friedman, Nelson Mandela, and Francis Crick and James Watson. Nobody really thinks about the humble zipper anymore, but without it, life would be much different! From bags to pants to boots, zippers are everywhere. The zipper we use today was the result of Swedish-born American Gideon Sundbäck, who created his “Seperable Fastener” on the early 1900s and patented it in 1917. Sundbäck was included in the Inventors Hall of Fame in 2006. Fun Fact: The name “zipper” itself was coined when B.F. Goodrich put zippers on boots, in the 1920s. Not many people get to brag that their invention saved millions of lives, but Nils Bohlin can. Bohlin invented the standard three point seatbelt we all use today in 1951 while working at Swedish car company Volvo. The seatbelt was first included in a mass produced car in 1959, when it was included in the Volvo Amazon and Volvo PV 544. In 1968, it was made free to use for the public. The picture above is the 1959 Volvo PV 544 A. Fun Fact: The three point seatbelt actually came from an ejection seat that Bohlin was working on at Saab. 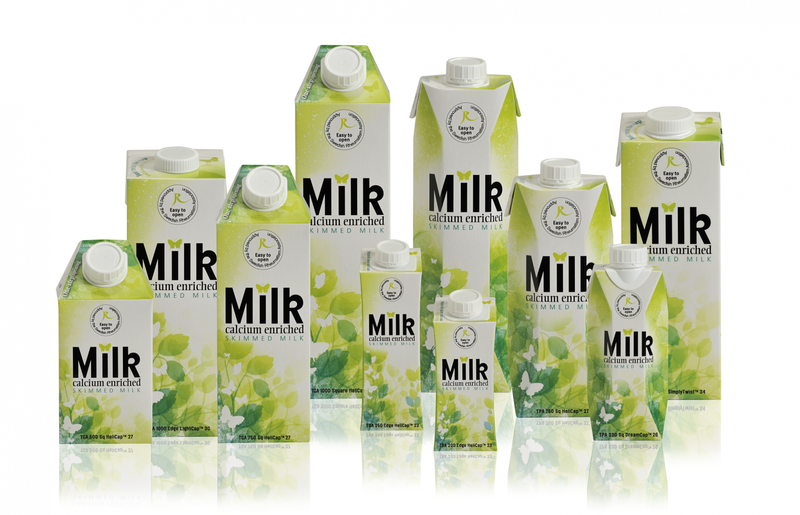 Thanks to TetraPak, we no longer need glass bottles for things like milk and juice. TetraPaks were developed in the 1940s, and allowed paper cartons to be used for transporting, and selling, liquids. While slightly controversial due to their difficulty in being recycled, TetraPaks revolutionized the food industry.